We are excited to announce three new powerful features for SecuriSync®: web file preview, increased file size limits and an improved Android mobile user experience. Do you want to preview stored files without downloading them to your device? 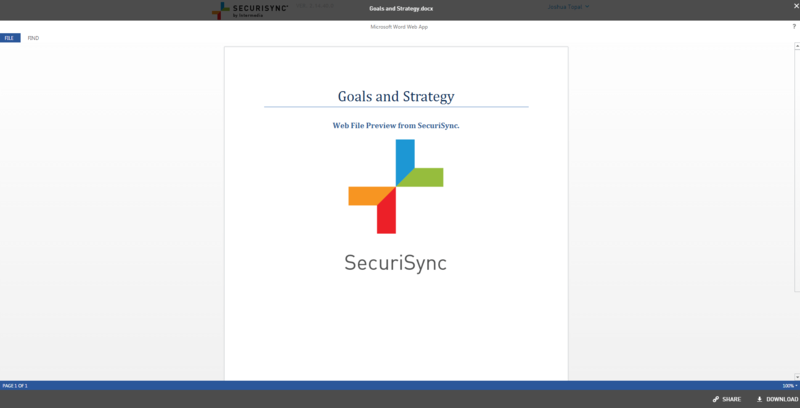 The new web file preview from SecuriSync lets you quickly preview Office Word, Excel, PowerPoint and PDF files from within the SecuriSync web app and web link landing page within your browser. Viewing these files is simple. 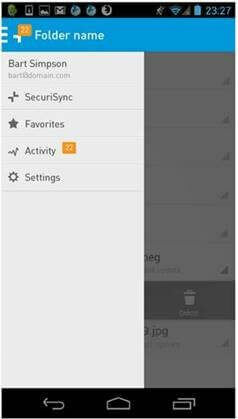 Open a SecuriSync link and hit preview, or easily click the file from within the SecuriSync web app. 2. The file will then quickly open from within your web browser. Ever try to email an attachment but it was too big to send? File size limits plague businesses and users every day. SecuriSync solves file size issues by removing size limitations. SecuriSync now allows you to send files of any size across all your clients including PC, Mac and mobile devices. You can now break free of file size limitations when sharing content with SecuriSync. We’ve completely redesigned the Android app experience. We’ve updated the activity feed to include the option to quickly check file activities. You can now easily view who edited, added, created or shared content. We have more Android mobile app updates and improvements coming soon. Stay tuned! These three new upgrades make SecuriSync an even more powerful tool to help your employees access and collaborate on files from anywhere. This increased user productivity comes with the added advantage of enterprise-grade security and control for your IT staff. If you have any questions about SecuriSync or want to get a price quote for your business, give us a call at 1-800-379-7729. Be sure to review our previous updates here.